Roland de Wolfe was the first player to join Gavin Griffin in the Triple Crown when he accomplished the feat after winning the $5k Pot Limit Omaha 8 or better tournament at the 2009 World Series of Poker. 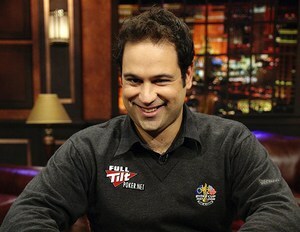 The English poker pro had previously won the $10,000 WPT Grand Prix de Paris in 2005 and the €5,000 EPT Irish Masters Tournament in 2006, for the other two legs of the Triple Crown. In stark contrast to Gavin Griffin, de Wolfe is one of the most consistent tournament players in poker, and since his first full year on the tournament trail in 2005 has never earned less than $450,000 in any given year according to thehendonmob.com. Over the course of his relatively short career de Wolfe has earned $5,330,554. Of the Triple Crown winners, Griffin, Jake Cody, and Bertrand “ElkY” Grosspellier, being the others, de Wolfe is probably the least known of the bunch, but at the 2010 World Series of Poker Europe, de Wolfe narrowly missed making his Triple Crown all the more impressive when he finished 4th in the £10,000 WSOPE Main Event, which would have most likely made de Wolfe the best known Triple Crown winner! This entry was posted on Saturday, June 18th, 2011 at 8:35 am and is filed under Poker News. You can follow any responses to this entry through the RSS 2.0 feed. You can leave a response, or trackback from your own site.